Keezy – The simplest of the apps (in the best way, of course), Keezy has 8 tiles that you can use to loop, create beats or layer sounds. It comes with 15 soundboards and is likely one of the best for someone who is just making music to pass time. 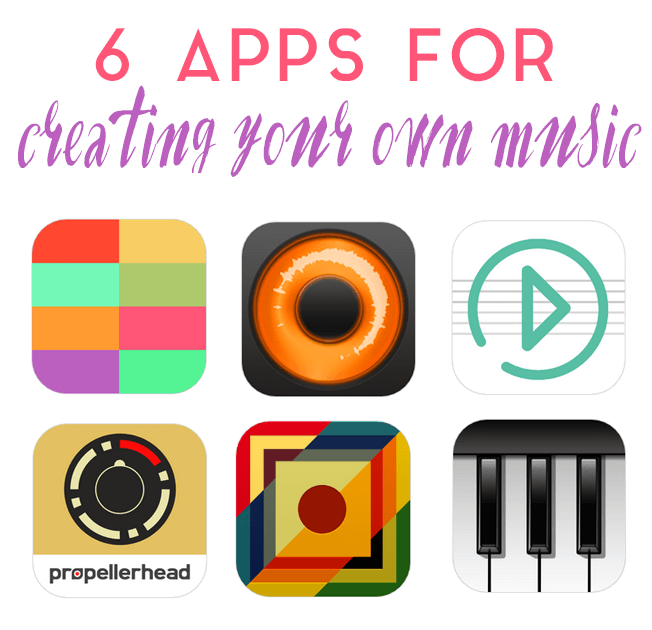 You can’t download your creations, so it’s really to amp yourself up and not get lost in the depth of music production apps. Loopy - Loopy is pretty straightforward–you add in sounds and beats (or tones) and it loops it all together so you can build upon your track. Also incredibly easy to use, as seen by Will Smith and Jimmy Fallon (haha), the app lets you layer 6 tracks so you can then sing or rap over your creation. I can see this one being pretty fun at parties. Riffr – If you play guitar, this app is a must. It has tons of guitar tabs so you can play songs on-the-go. But what’s even cooler, is that if you’re a newbie at reading music, you can still use Riffr and kill it on guitar. That’s because the app has a feature that will show you where to place your fingers on the guitar for any chord progression. Figure – Now that you know how to loop and play guitar, Figure by Propellerhead can cover a few other parts. The app allows you to create bass and drum rhythms, as well as some synth sounding tracks. You can change the volume of various parts, layer beats (a common feature amongst these apps), do a little mixing and more on its uber clean interface. Musyc – Musyc requires no previous musical skills at all. With a simple swipe of your finger, a few taps, and viola, you’ve created a melody. Basically, the shapes make the sounds and then you manipulate them by adjusting pitch and volume. There are so many sound styles to choose from you’ll never run out of options. Pianist – The piano app is a fairly comprehensive app to give you the full experience of playing piano. There are all 88 key sounds and a virtual pedal. You can record multiple layers of piano and then go back through and remove notes that just don’t fit. It’s awesome to think you can create a track on your phone and then immediacy add it to a video for social media. Do you use a music app you love?